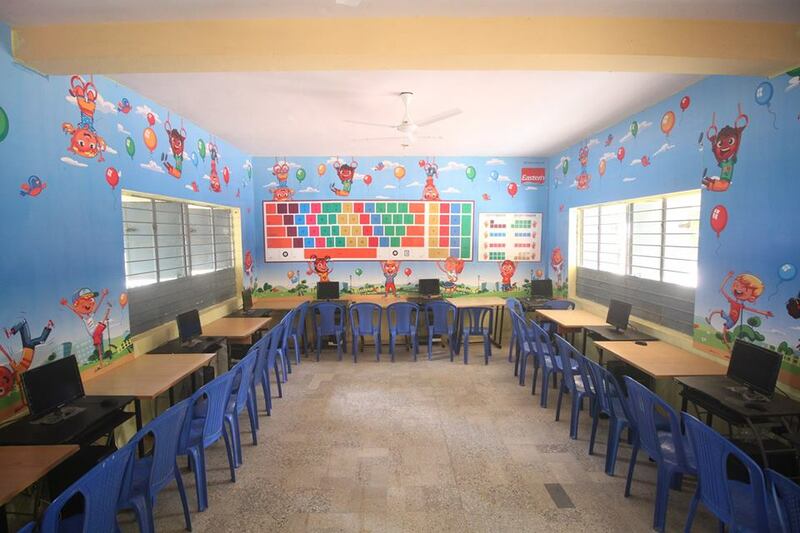 The Eastern Group, recently, sponsored a computer lab of the Government School, Kudur with the installation of 10 computers along with the basic amenities, as a part of the company’s CSR initiative. On 19th of September 2018, the lab was formally inaugurated and handed over to the school authorities by Mr. Firoz Meeran, Managing Director, Eastern Condiments Pvt. Ltd., Mr. Mohanlal Menon, Director, Eastern Condiments, and the guest honor, Dr. K. N. Manjunath, General Physician. Vikram Hospital and Mrs N. Manjunath, in a ceremony organized in the school premises. The event commenced in the presence of trustees Mr. & Mrs. J.M Maheshwari, Mr. Ganesh Shenoi, Mr. Patil, Mr. Sidaraju from Abhivrudhi Trust, B Sidheshwar, Block Education Officer, Ms Divya, Member of taluk Panchayat and School staffs Mr. Nagarj, Head Master, Mr. Kathraj, Mr. Venkatesh Murthy and Mr. Raghavendra. Mr. Firoz Meeran, in his speech, explained that this plan was part of the company’s pan India CSR initiative, ‘Eastern Bhoomika’, which aims at recognizing women with extraordinary accomplishments and achievements in life, and added fondly that he aimed at helping educate more girls in the future. He assured the school authorities of complete technical and software support for the lab by the Eastern Group, and thus, taking full responsibility to rectify any issues in the future. All dignitaries on the dice expressed their views on the initiative and motivated the students to utilize the resources to their best outcomes. The Head Master Mr. Nagraj, expressed his gratitude towards Eastern group for the remarkable gesture of aiding his students with the latest technology and urged the students to make great use of it. The event was the concluded with the Vote of thanks by Ms. Kruthika P V, General Manager, Eastern Condiments.